May The Force-Multiplication Be With You! Force-Multiplication Is An Ancient Tactic. Our Teachers Should Use It. Teamwork is one such force-multiplier: and it works. 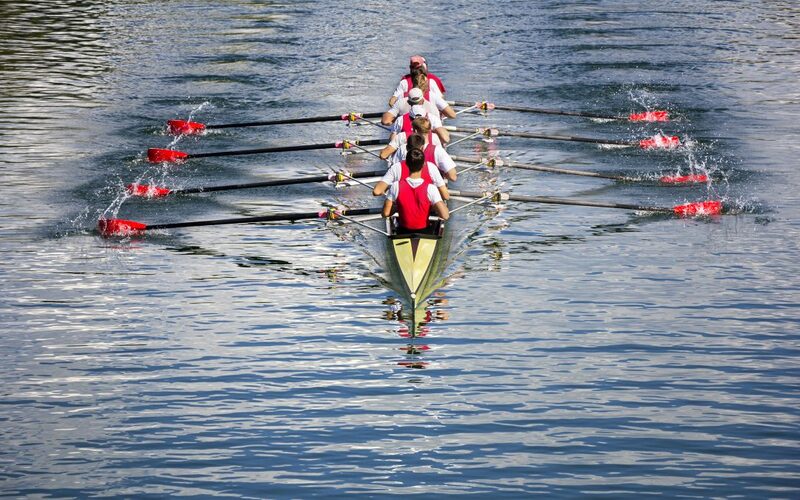 We have all watched enthralled at displays of coordinated teamwork, especially when each member of a sports team fulfills their individual role so well that the whole is greater than the sum of its parts. At its best it looks almost effortless. That’s because no matter whether it is a high school basketball team or a professional football team or a cheerleading squad, the members all depend on each doing their job well and selflessly. When we watch a group of athletes competing what we are in fact seeing is a system: a group of related parts that move, cooperate and work together to multiply the efforts of the members. If any part of the system fails the whole system fails. If they all work together as if it were a single brain, however, the results can be breathtaking because, despite changing conditions, it seems almost choreographed. Even in individual sports such as skiing or tennis a team is at work; from the people who build the ski-run or stadium to the bankers who financed it, to the coaches, trainers and equipment manufacturers. Remove any one of these components from the team and it cannot work. It only works when it is a complete system – from the Greek systema meaning an organized whole –and a complete system is a force multiplier. The interdependent system is woven into the fabric of any living society. It takes a village – an organized whole – to raise a child. A colony of ants are cooperative superstars. Working as a team a pride of lions can kill prey in five out of ten attempts. A lone lion is doing well to achieve a kill rate of 15%. There is a reason why a pod of whales or a pack of wolves use cooperative behavior – it is a much better evolutionary gamble than individual behavior. Teams have many benefits. They leverage the individual’s efforts. Teams complement disparate strengths, minimize weaknesses and encourage controlled risk-taking. Teams also foster innovative problem-solving through creativity. Teams imbue a sense of ownership in the endeavor and the outcome. They help build trust and reduce conflicts. In short, teamwork ensures a culture of continuous innovation and innovation is the key to survival and evolution. Teams are Systems Designed to be Force Multipliers. A school, like any other enterprise, is meant to be a collective endeavor; an interdependent team; a system. Without the taxpayers, courts, elected politicians, commissioners, administrators, teachers, other leaders and of course parents and children, schools could not even exist, let alone work as designed. The commissioners cooperate with the voters, taxpayers and government, who in turn work with the superintendents, who cooperate with the principals and teachers. The school district trains students using taxes collected directly or indirectly from local businesses. The students that the schools train then go to work for the companies who paid for their education. The underlying formula holds true: A virtuous circle in service of the overall topmost priority of society! Sounds good, but it’s not working that way. In my opinion there are two problems with our collective endeavor to educate our students. 1) The strategy – the topmost goal – of our schools is seriously defective. We seem to believe that the top-most goal of our schools is to teach students to memorize facts. That is not what employers need. 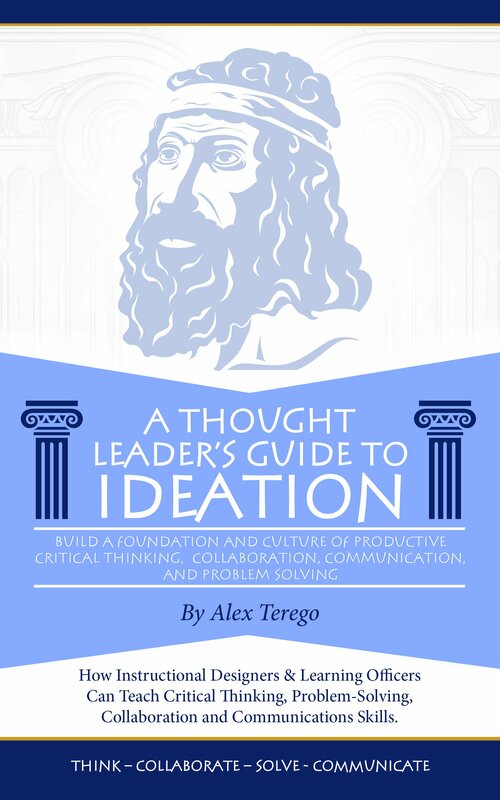 They want thinkers, problem-solvers, collaborators and communicators. 2) The students mostly do not cooperate with each other, or with the system as a whole. If they did maybe the 56% of high school students who report being psychologically disengaged would change their mind. With regard to the topmost goal of the American education system, we seem to be contradicting Socrates’ advice, “Education is the kindling of a flame, not the filling of a vessel.” Contradicting a philosopher from 2400 years ago may not seem like a big problem, but it is. We as a society have decided that the purpose of education is filling these fifty million vessels – your children – with facts and then testing them on the ability to retain (not use) those facts in the belief that that is sufficient. Much of the rest of the world is doing the same and we still come in 36th. So we are not even doing a good job of filling our children’s heads with facts. If we were the metrics would tell a different story. By the way the word education is from the Latin word educare, which means drawing out, not stuffing in. The ancient Greeks and the ancient Romans seem to have known what we have forgotten – that children are born creative problem solvers; and then the grown-ups knock those skills out of them and call it public policy. Which brings me to the second and biggest problem. All the people in any enterprise, including our education system, are supposed to cooperate in teams in pursuit of their goal. And the adults do. They serve on committees, boards, working-groups and councils, some toil in brain-trusts and think-tanks. The reason they do this is that they know that their efforts will be better rewarded if they take advantage of the diversity of their team: they multiply the force of the team. All except the students, that is! And, as I have stressed, if a single component is removed from an organized system it breaks down. And our education system has patently broken down. We are 36th in the world in reading, science and math. We should not be surprised. Our students, like their great, great-grandparents before them, sit in rows and complete their education as a mostly solo effort from K through 12 and even beyond. They probably get a great deal of one-on-one coaching and mentoring or tutoring, and that helps all students. But that is not the force-multiplier that teams engender. If we look at the American education system holistically – as a collaborative effort – we can see that one part of the system – and by far the largest component – the 50m strong student body – is not even included in the overall strategy of collaboration. They are expected to follow orders. Ironically, when our students join the workforce in our Fourth Industrial Revolution, which is crying out for very different skills and being ignored by schools, these students will be expected to work in teams! If US schools introduced teamwork as a discipline to be learned and practiced in order that further learning may take place, force-multiplication would immediately take place. As I wrote earlier cooperative behavior is a much better evolutionary gamble than individual behavior. In fact from an evolutionary standpoint cooperative behavior is the only option. Need proof? LUCA – the Last Universal Common Ancestor from which we all descend – did not begin to evolve beyond a single-cell until it started to cooperate with other single-cell organisms, and a few billion years later its descendants walked on the Moon. So, back to force multiplication. What exactly is a force-multiplier? A force-multiplier is a combination of attributes which make a team more effective than that same team would be without these attributes, and therefore enhances the probability of successful outcome. Armies, Navies and Air Forces know this term well. The US Department of Education should consider a force-multiplication option too for the children who live in this giant collaboration experiment that has been going on for a quarter of a millennium: the United States of America. Collaboration happens best when members are as diverse as possible. A quick look at the demographic makeup of the USA and it is obvious that the opportunity is staggering. The most diverse nation in the world, and in the history of the world, is just waiting to be leveraged, and its force multiplied and unleashed even more; unless we decide to keep on filling the vessels, and not kindling the flame that is. Diversity is an interesting topic. There are two kinds: Social Background and Experiential Background. The social background includes race, gender and social experiences. The experiential background includes knowledge and skills background. Our educational leaders seem hell-bent on homogenization when in fact diversity is how a system flourishes. The No Child Left Behind Act and its variations is in effect leaving all our children behind. The more varied the group, within reason, the more opportunity there is to leverage diversity. Think of diversity as richness instead of difference. Malcolm Forbes the founder of Forbes Magazine said it best, “Diversity is the art of thinking together independently.” A diverse team where everyone’s talent is recognized, embraced, valued and built upon is a smarter team. Teams = Leverage. In nature there are many examples of teams being better for their diversity. Some ants are warriors some are workers. But how about a snake and an owl living together for the benefit of both? The long-eared owl brings the small blind snake into its nest to keep it free of pests so that the owl’s chicks have a better chance of survival. Now, that is a force-multiplier; a tiny trick with huge benefits. Our earliest ancestors survived by deploying team members based on diverse skills. One member could read tracks, one could hurl a spear and one could co-ordinate activities. The result – more food and survival. My message is that nothing has changed. Teams rule! Collaboration works! The maximum leverage comes from teamwork! Teams make the whole greater than the sum of its parts! Teams leverage diversity! Teams kindle an individual’s lamp!